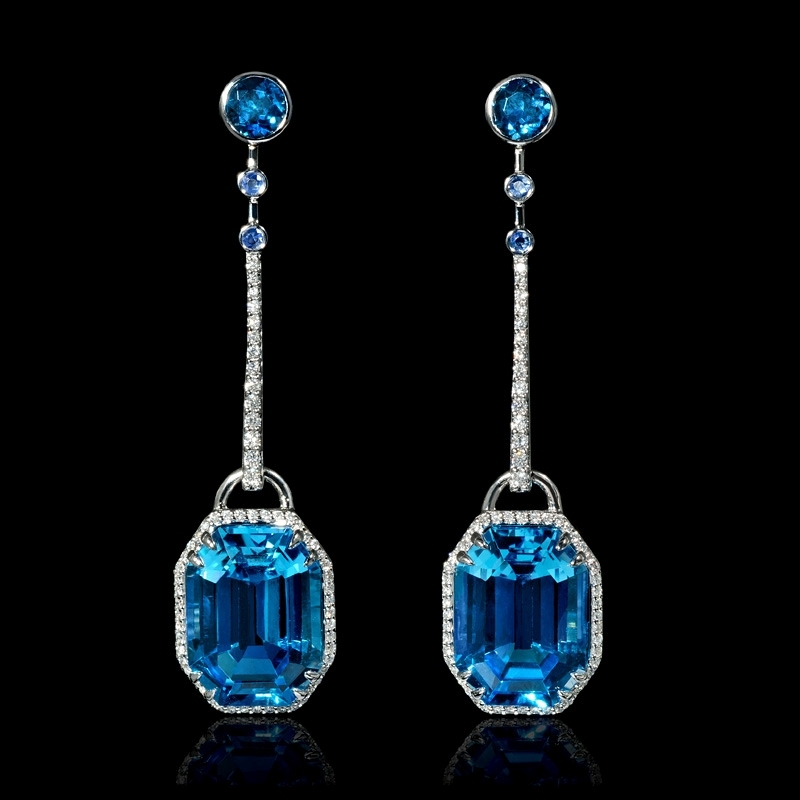 Gemstone Details:4 blue topaz stones, of exquisite color, weighing 23.40 carats total and 4 blue sapphires, of exquisite color, weighing .13 carats total. 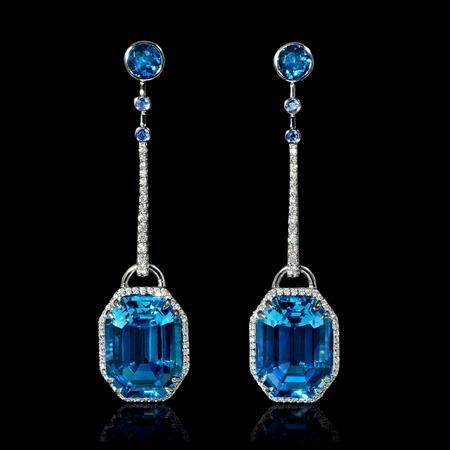 Diamond Details:124 round brilliant cut white diamonds, of F color, VS2 clarity, weighing .48 carat total. 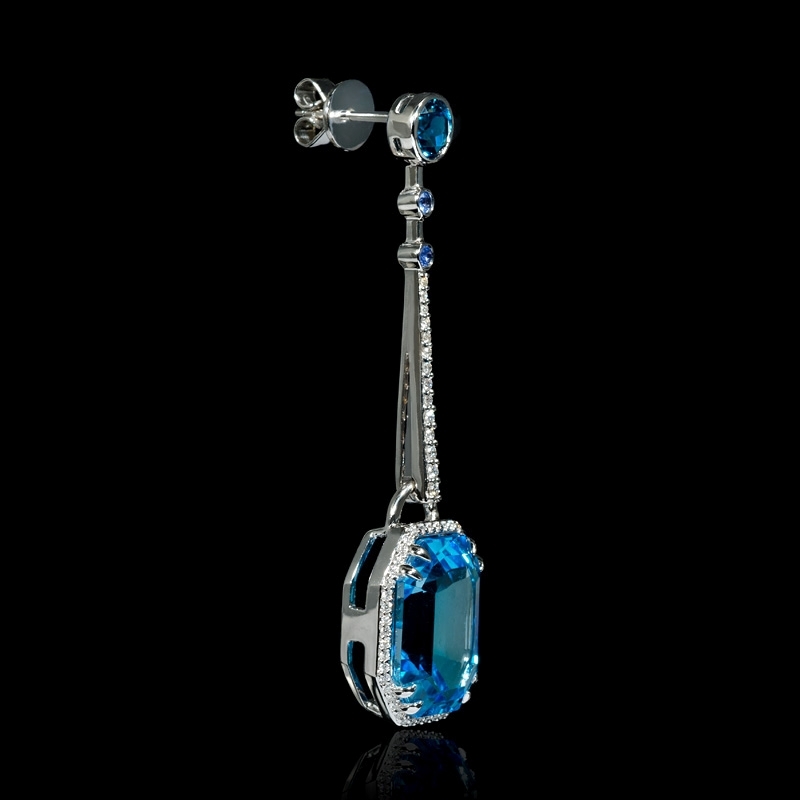 This stylish pair of 18k white gold dangle earrings, feature 4 blue topaz stones, of exquisite color, weighing 23.40 carats, 4 blue sapphires, of exquisite color, weighing .13 carat and 124 round brilliant cut white diamonds, of F color, VS2 clarity, and of excellent cut and brilliance, weighing .48 carat total.